The M5 Antitank gun owes its existence to German Panzer tanks heavy armor. In the battles for North Africa during World War II, American forces realized their current antitank weaponry was not capable of actually hurting German tanks. In a testament to American ingenuity and sheer need, the U.S. Army's Ordnance Department modified the M3 3 inch Antiaircraft gun to fill the gap in American armament. They replaced the breach with a 105mm breach, installed a larger barrel with a modified chamber, and mounted the gun on an M6 artillery carriage originally designed to carry 105mm howitzer field artillery cannons. The new cannon could penetrate up to three and one half inches of armor at nearly two kilometers. 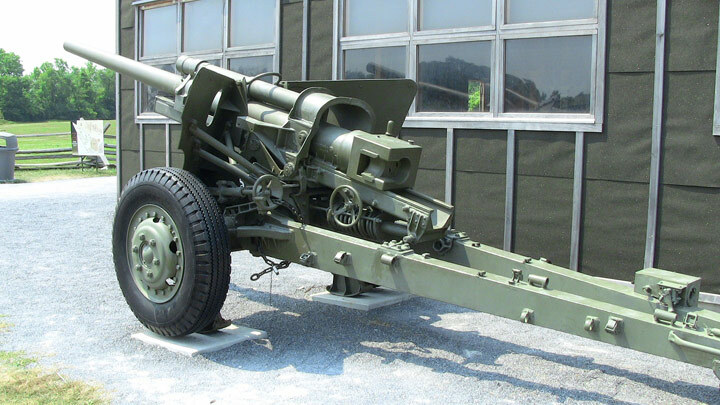 2,500 M5s were produced during World War II; each piece was so heavy it required a six wheeled vehicle to tow it into position.